Great value for the money. Very small but very clean in a secure building and in quiet neighborhood. Close to shops and beach. Includes all linens, cooking utensils as well as dishes. Owner is very accommodating and pleasant. Thank you for your review! Hear news from your city and hope you are both well. 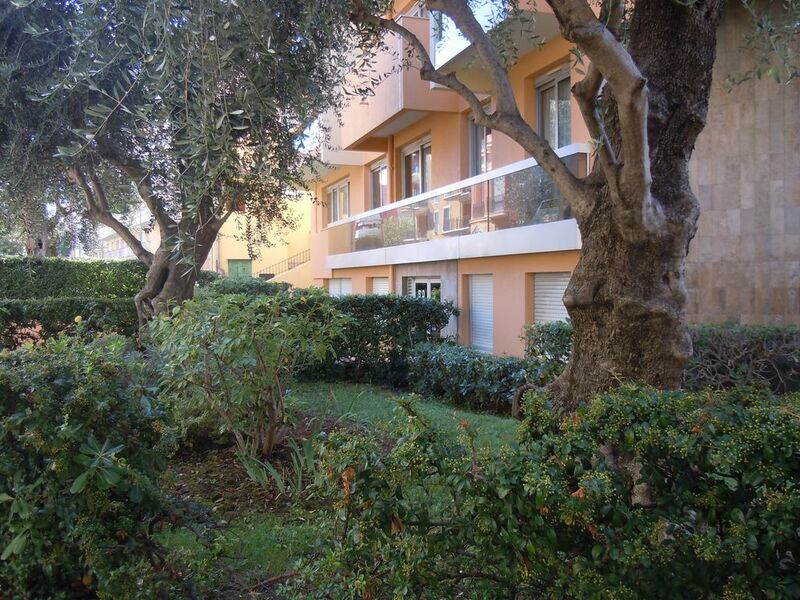 If you are planning to visit a lot of places on the Cote d'Azur, this studio will suit you perfectly. Getting to Monaco, Nice, or visit the Italian town of San Remo. All within 40-50 minutes travel. The studio is small but quite cozy. That affected the price. Cheaper than some similar proposals. Ideal for couples. In the studio, you will find all the appliances needed for cooking, washing and cleaning. There is internet and TV. However, we haven't much time for them. Fan, in case it's hot. In the apartment you will find all the necessary tourist information. Pamphlets available with the timetable of trains and buses, as well as information about the main tourist areas, which are "must see" for everyone who comes to the Cote d'Azur. The friendly neighbors. It was always quiet. A minute walk from the studio to the grocery store, three minutes to the sea. Near to the casino and to the Old Town. Souvenir shops and restaurants. Your perfect holiday begins with the successful choice of place of residence. This place - is what you need! Если вы планируете посетить много мест на Лазурном Берегу, то эта студия идеально вам подойдёт. Добраться до Монако, Ниццы или посетить итальянский город Сан-Ремо. Всё в пределах 40-50 минут путешествия. Студия небольшая, но вполне уютная. Что сказалось и на цене. Дешевле чем некоторые аналогичные предложения. Идеальная для семейной пары. В студии вы найдёте все бытовые приборы, нужные для приготовления пищи, стирки и уборки. Есть интернет и телевидение. Правда, у нас на них особо не было времени. Вентилятор, на случай, если вам будет жарко. В апартаментах вы найдёте всю нужную вам туристическую информацию, в наличии брошюрки с расписанием поездов и автобусов, а также информация о главных туристических местах, которые должен посетить каждый, кто приезжает на Лазурный Берег . Приветливые соседи. Никогда не было шумно. Минута пешком до продуктового магазина, три минуты до моря. Рядом казино и старый город. Сувенирные магазинчики и рестораны. Ваш отличный отдых начинается с успешного выбора места проживания. Это место – то, что вам надо! This is a clean and cozy studio, near amenities. We spent 4 comfortable days there. Thanks a lot. Hope to have you back soon. Studio où rien ne manque. Mais peu lumineux du fait de son emplacement en rez de chaussée. Menton is the most eastern city of the French Riviera. It is on the boarders of Italy between Monaco and Italy. It is 'the pearl of France', a paradise where you can enjoy a beautiful sea and the nearby sunny montains all year round thanks to its wonderful climate (316 cloudless days a year). It is the first town of the 'Alpes-Maritimes' to be named as 'City of Art and History'. There are two ports in Menton for yatchtsmen either stopping over or planning a longer stay. The 'old port' which appears protected by the Bastion and the private port of Garavan.